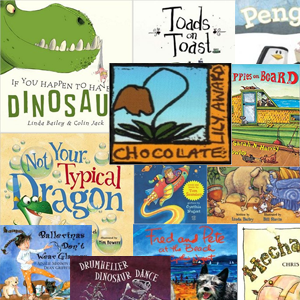 The Mitten Award recognizes and promotes quality literature for youth in picture book format. 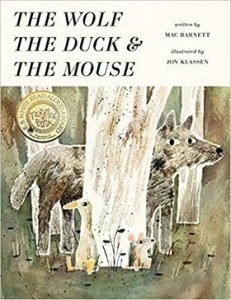 First given in 1999 by the Children’s Services Division of the Michigan Library Association, the award is given annually to one children’s book originally published in the United States during the calendar year that has captured the attention of youth librarians throughout the State of Michigan for its ability to communicate through literature to an intended audience. 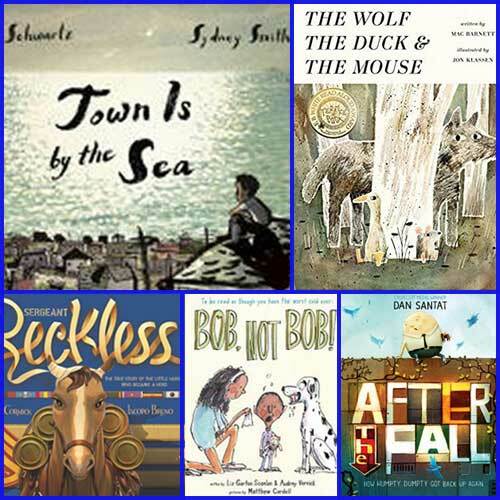 The award selection work group is comprised of Michigan librarians who consider hundreds of children’s books annually to determine a winner. 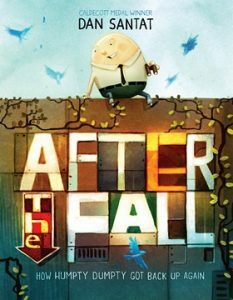 A mouse gets eaten by a wolf but finds out he is not alone in the wolf’s belly. 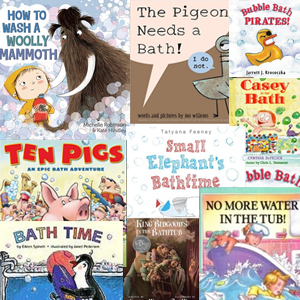 When a young boy gets a cold, he just wants his mommy. 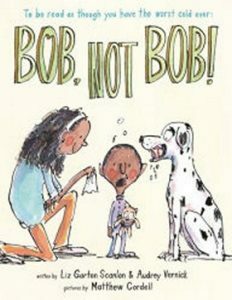 But his stuffy nose makes it difficult for him to call out to his mom–not ‘Bob,’ who happens to be the family dog. 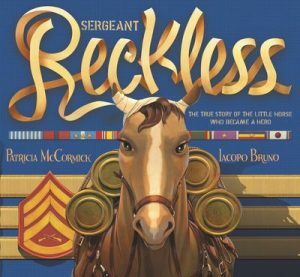 When a group of US Marines fighting in the Korean War found a bedraggled little mare, they wondered if she could be trained as a packhorse. They had no idea that the skinny, underfed horse had one of the biggest and bravest hearts they’d ever known. 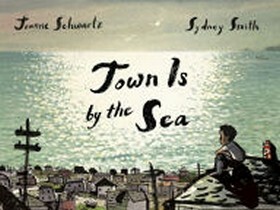 The story of a young boy who grows up living by the sea in a small mining town. Heather Kindschy, award-winning Media Specialist, CLCD friend and former newsletter editor – at the LC Summer Teaching Institute.